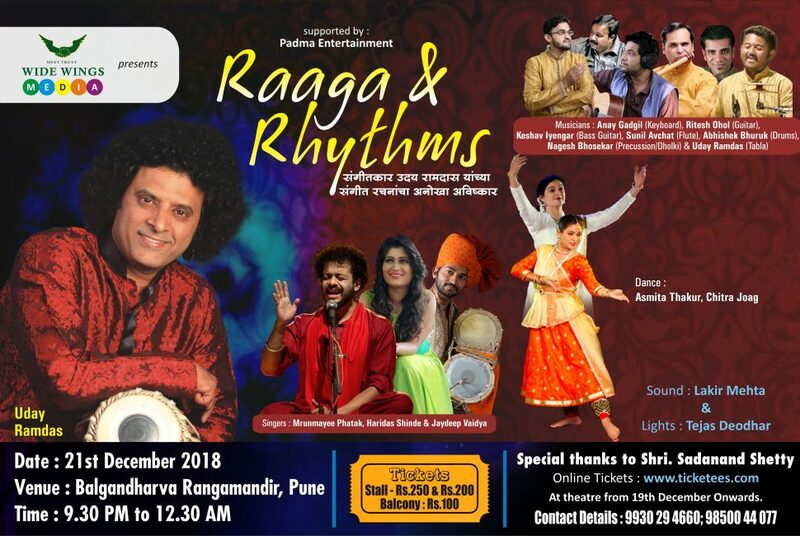 Wide Wings Media in association with Uday Ramdas is coming up with a new & beautiful concept of Music and Dance including Classical, Sufi, Folk, and Fusion Compositions. We are very pleased to announce the musical event. Composed and directed by – Uday Ramdas. When : 21st December 2018. Where : Balgandharva Rangmandir, Pune. Time : 9:30 PM to 12:30 AM. Click on the link below to book tickets online.